Thanks to a huge explosion of new eateries in recent years, there's a feast of excellent dining options in Auckland. Whether you want to dress up and join the party scene, share a private romantic meal with a view or sample this multicultural city's best market day food, Auckland is ready to take your order. Some of the best eating happens at breakfast time, so don't sleep in too long. Head up the Sky Tower to The Sugar Club, which can definitely claim the biggest view in the city. In the restaurant regions of Parnell and Ponsonby, chefs have an undying passion for culinary creativity. It helps that the Auckland region produces excellent raw material. The climate is obliging - with enough sunshine and rainfall to grow everything from the daintiest tips of asparagus to the sweetest strawberries south of the equator. Just two kilometres west of the CBD, Ponsonby is redolent with character. You can see it in the beautiful wooden villas, the historic shop frontages and the dressing style of the locals. Needless to say, restaurants are equally characterful. While they chop and change, there are stalwarts that never fade away, such as Prego and SPQR. Ponsonby Central, a hub of great eateries, is at the beating heart of this suburb. Morning, noon and night, it's ready to serve. To the east of the city is Parnell, another city fringe suburb that's famous for food. One restaurant rules supreme here, as it has done for more than 40 years - Tony Astle's Antoines. You'll need to book well ahead for this classic dining experience, but it will be unforgettable. If you prefer a more contemporary menu, head for Woodpecker Hill. It's an east-meets-west experience that promises big flavours. 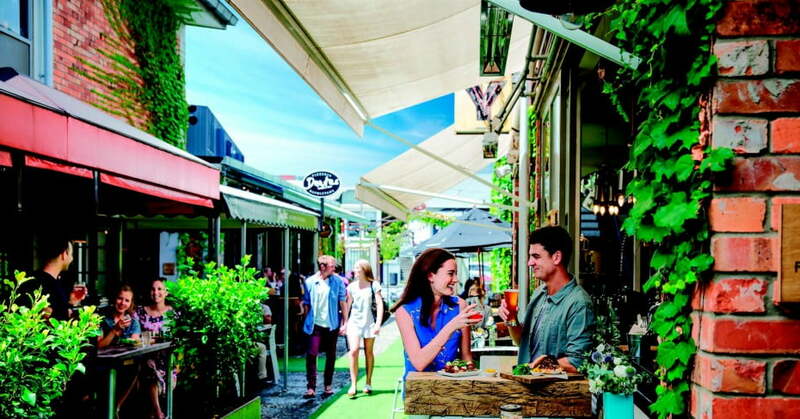 The concept of a farmer's market adapts easily to urban conditions, particularly in Auckland. Reigning supreme is the La Cigale French Market, which is held every Saturday and Sunday morning. Voted Auckland's best food market year after year, this thrumming melange of ready-to-eat food and gorgeous ingredients is located in Parnell. It's an easy stroll from the CBD. For a totally different alfresco eating and shopping adventure, head west to Avondale on a Sunday for New Zealand's biggest one-day market. Dining with a view is a must in Auckland. Set in the rejuvenated Seafarers building in Britomart, Ostro overlooks the twinkling Waitemata Harbour. Designed by Michelin Star chef Josh Emmett, the menu showcases the best of New Zealand's superlative protein sources - from kingfish and rock oysters to grain-fed beef and high country lamb. To get your bearings in the city of sails, head up the Sky Tower to The Sugar Club, which can definitely claim the biggest view in the city. The mastermind behind this high dining experience is Peter Gordon, one of the chefs trusted with designing Air New Zealand's inflight food. His fusion style is a knockout and you'll love the delicate portion sizes that allow you to work your way through several courses and still have room for dessert.